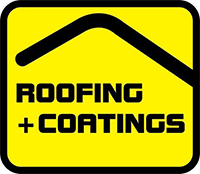 Roofing and Coatings offer a professional roofing service with high quality guaranteed workmanship. We’re licensed roofing contractors in Wellington City, Wairarapa, Upper Hutt, Lower Hutt, Porirua, and Kapiti Coast. If you need a reliable roofing company you can trust, call us now for a free inspection and to discuss your needs. To the right are some snapshots of a commercial building project our team worked hard on.